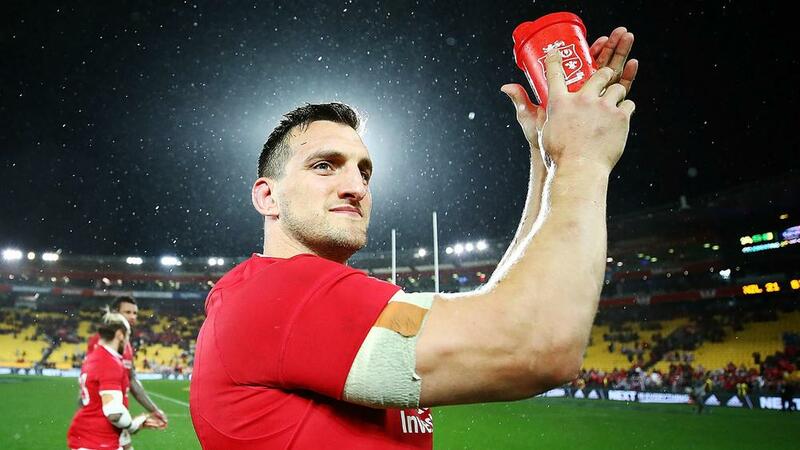 Warren Gatland has paid tribute to "outstanding" Wales great Sam Warburton following his shock retirement from rugby. Warburton, who served as captain under Gatland for his country and the British and Irish Lions, confirmed on Wednesday that he has been forced to end his playing career after failing to recover fully from neck and knee surgery. Gatland expressed his disappointment at Warburton's decision but hailed the 29-year-old for his achievements. "It is hugely disappointing that Sam has retired from the game," said the Wales coach in a statement. "He is an outstanding rugby player and he has brought so much to the game on and off the pitch. "His leadership, attitude and demeanour, along with his performances, have placed Sam up there as one of the best and most respected players in the world. He finishes with a record that he should be extremely proud of and should look back on his career with huge pride." Gatland highlighted Warburton's performance in the Lions' clash with New Zealand in Auckland last July, which earned a series draw against the world champions, as a standout moment in his career. "In a Test career full of great moments, one in particular sticks in my mind," he said. "His captaincy in the third Test for the Lions in New Zealand, in a game finely balanced and potentially historic, was exemplary. The New Zealand media were mightily impressed by him and rightly so. Cardiff Blues head coach John Mulvihill added: "I met with Sam and he informed me of his decision and his reasons behind it. "He is a world-class player and person and was more concerned about letting myself and the Cardiff Blues family down rather than his immediate future. "As a player, person and role model in rugby, he has nothing else to prove. His class and achievements will stand the test of time. He is a Welsh rugby and Cardiff Blues legend and we all wish him and his young family much love, health and happiness in the future."